Asus has launched the Zenbook UX303UB, Zenbook UX305UA, and Zenbook UX305CA flagship devices in India and prices start at Rs. 55,490. The UX303UB comes with a 2GB NVIDIA GeForce GT940m graphics and a Full HD display. It also comes with SonicMaster audio and incorporates ICEpower Bang & Olufsen technology. 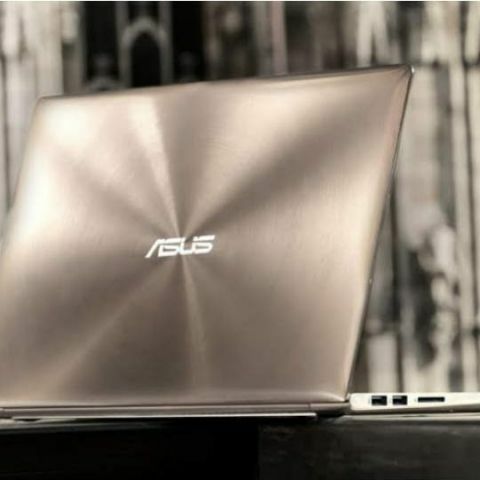 It is equipped with a backlit keyboard with Asus ambient-light sensor technology. All three Zenbooks will be available from March 4. Riding on the phenomenal success of its flagship Zenbook series, ASUS today unveiled Zenbook UX303UB, UX305UA and Zenbook UX305CA. Equipped with the latest 6th Gen Intel Core™ i5 processor with Skylake architecture, the ultra-portable notebook UX303UB will be available in multiple colour options like Smoky Brown and Icicle Gold with chassis that measures only 0.7 inch thin, which is further enhanced by the iconic spun-metal finish that echoes the spirit of Zen. Combining power and class into one premium design, Zenbook UX303UB features the latest 6th Gen Intel Core™ i5 processor making it even more powerful, combined with Windows 10. Thin, light, and powerful, the new power packed Zenbook UX303UB is priced at just Rs.71, 490 for a Core™ i5 version. The UX303UB in particular, not only features high-performance Intel® Core™ processors but also features a NVIDIA® GeForce® GT940m 2GB graphics for silky smooth performance. This gives desktop-grade performance with stunning image quality and silky-smooth rendering of high-resolution videos or the latest games. It also features a Full HD display delivering stunning lifelike visuals with a wide 170 degree viewing angle. ASUS' exclusive SonicMaster audio, which incorporates ICEpower® Bang & Olufsen technology, also delights the ears with incredible sound. It also features an aesthetically designed backlit keyboard with ASUS ambient-light sensor technology where keyboard backlight adjusts automatically to suit the ambient lighting for best typing experience. Taking a step even further, the ASUS Smart Gesture technology allows users to connect smartphone to the Notebook and use it as a second touchpad, a presenter or even as a media remote. Commenting on the launch, Mr. Peter Chang, Region Head – South Asia & India Country Manager, ASUS commented, “The Indian consumers are increasingly moving towards Ultrabooks and the featherweight ZenBook UX303UB is a real performer that redefines ultraportable segment with its svelte design. The UX303 not only offers a 360 degree ultra-fast computing experience, but also battery life that goes up to 7 hours on a single charge. Ultrabooks are made for users’ on-the-go and the UX303UB is a perfect device that gets that job done and will never slow the user down. With this, we want to make sure that we deliver the same premium computing experience with the performance they need, at a more affordable price point." The products will be available through all the channel partners and online retailers from Friday March 4, 2016.